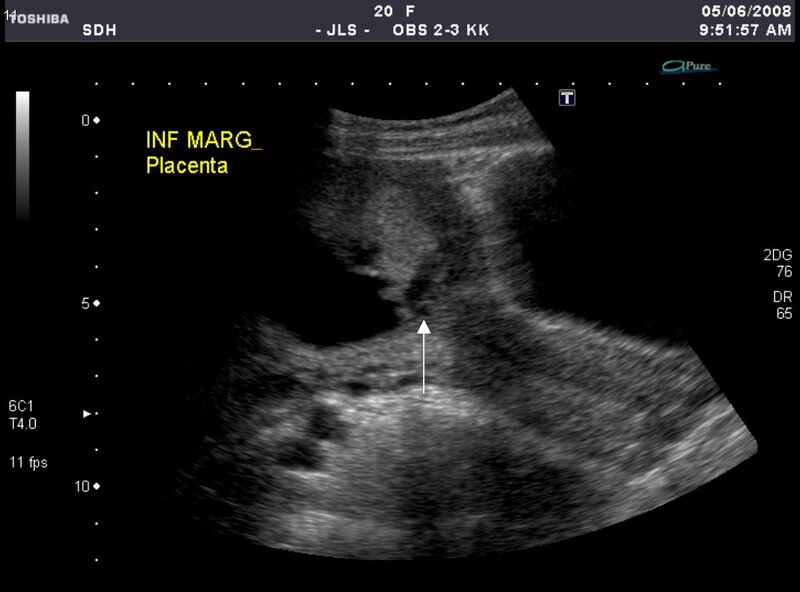 This pathway provides guidance for investigating pregnant patients with antepartum haemorrhage. 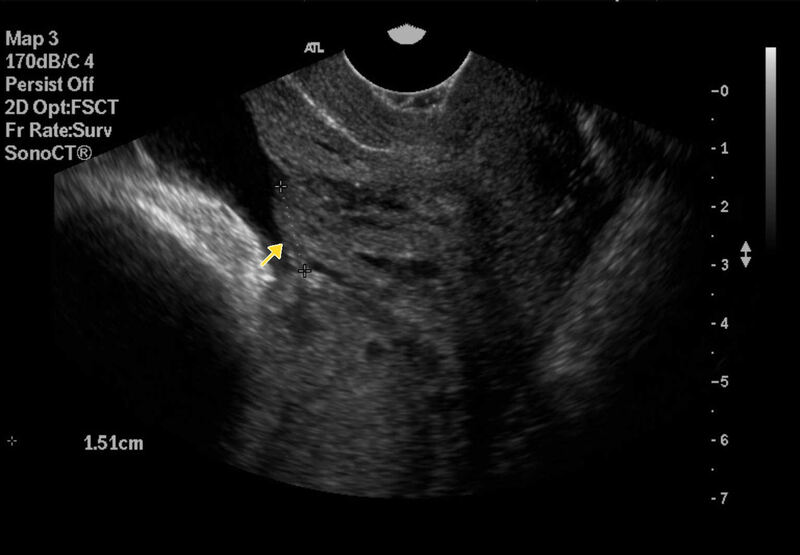 Image 1a and 1b (Transvaginal Ultrasound, 33 weeks gestation): On transvaginal scan, the placenta is situated on the posterior uterine wall (arrow) and extends to 15mm of the internal cervical os. 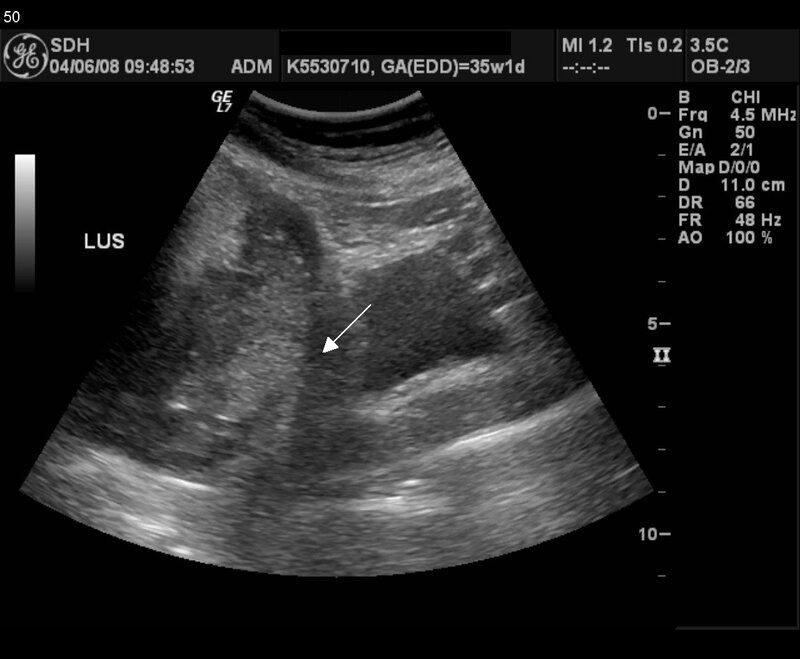 The cervix is long and closed through its entire length and measures 38mm. 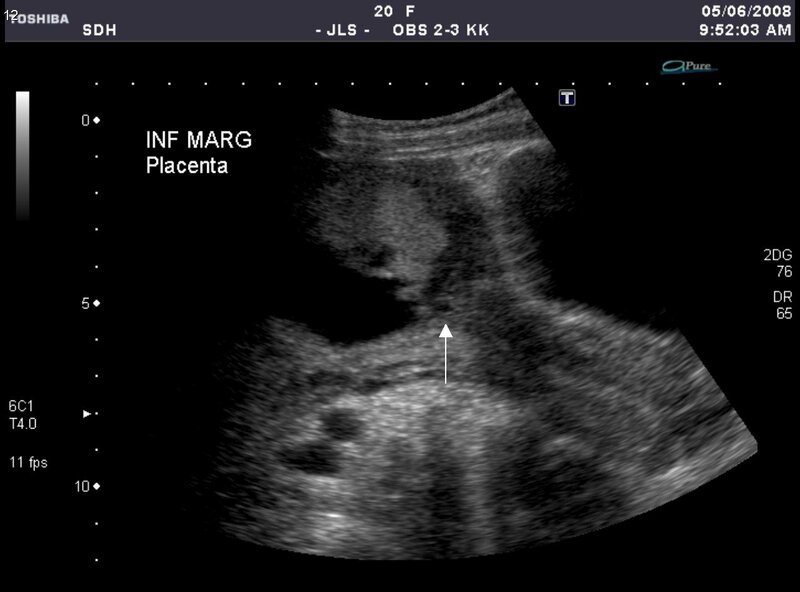 Normal fetal measurements and activity are noted which are not illustrated. 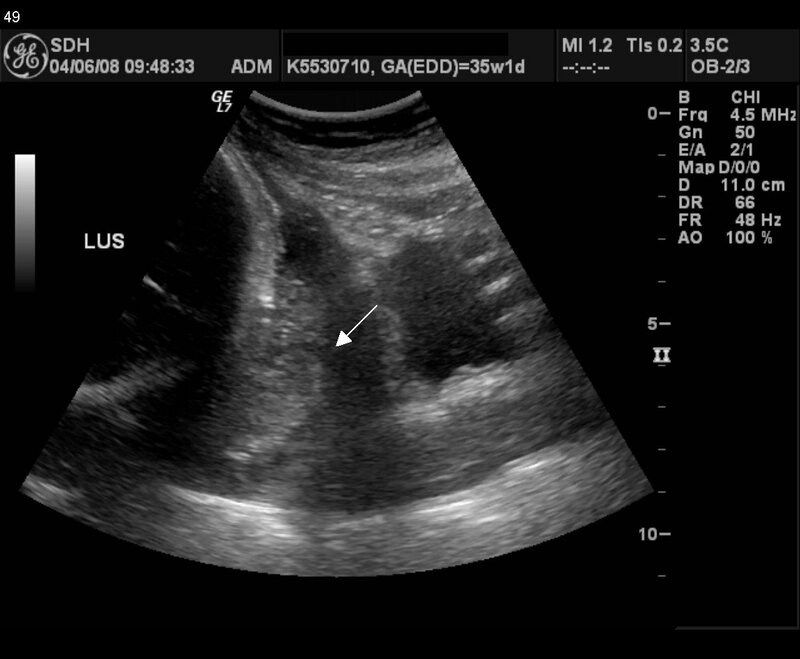 Image 2a and 2b (Transvaginal Ultrasound): The placenta partially overlies the internal cervical os (arrow). 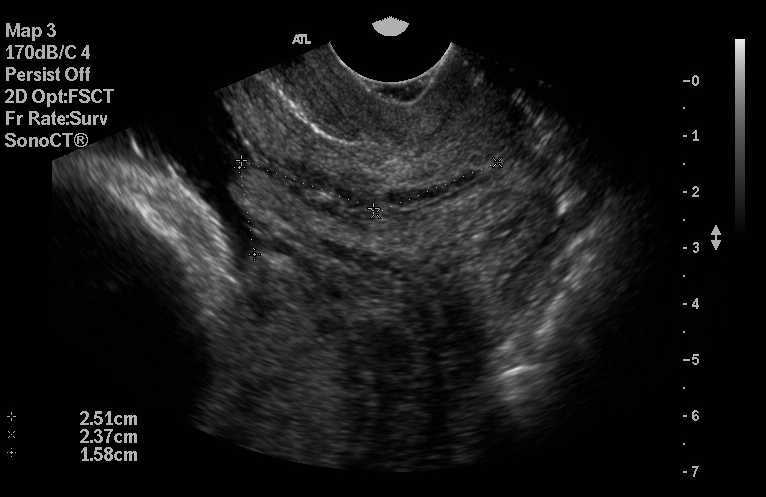 Image 3a and 3b (Transvaginal Ultrasound): The placental completely covers the top of the internal cervical os (arrow).